"Easiest chatbot in the market"
The pricing is really interesting, and the update of the products is continuous, offering new features on a regular basis. Ease of use and versatility. Within the same environment with the same tools, you can create a chatbot for FB Messenger, a website and Google Home. I'd like to have push notifications for Web-Chatbots as for Messenger. It's powerful (context AI is incredible), easy (no coding, drag&drop) and versatile (FB, Website, Google Home). Prices are very competitive. What's not to like? We needed a Web-Chatbot for a client and we needed it fast. BOTNATION AI is the only chatbot platform with this feature. Great team. Great platform. 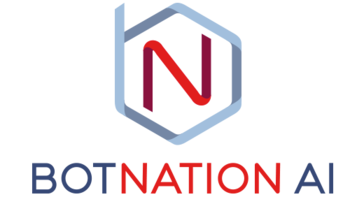 * We monitor all BOTNATION AI reviews to prevent fraudulent reviews and keep review quality high. We do not post reviews by company employees or direct competitors. Validated reviews require the user to submit a screenshot of the product containing their user ID, in order to verify a user is an actual user of the product. Hi there! Are you looking to implement a solution like BOTNATION AI?